The label ‘poetic realism’ was applied to a whole range of films made in France throughout the 1930s, from the beautifully shot atmospheric stories of working-class life in Jean Vigo’s L’Atalante (1934) to Julien Duvivier’s Casbah-set crime caper Pepe le Moko (1937) as well as to much of Jean Renoir’s 1930s output. However, the term was never more perfectly used than in describing two films made by Marcel Carné at the end of the decade: Le Jour se Lève (1939) and Le Quai des Brumes (1938). What is surprising for such a key poetic realist film is that, despite focusing on working-class characters and being set in an industrial port, it eschews much of what we now consider ‘realist’ filmmaking. There are no naturalistic non-professional actors but big box office stars (Gabin) and great film character actors (Michel Simon). There are no handheld cameras and natural lighting: Carné’s films are studio films of the highest artifice, created by highly skilled artists and technicians. Although a few location shots are used, the ‘real’ world of industrial ports, dilapidated bars and rain-soaked streets is largely carefully recreated and artfully shot on a soundstage. Made years before French critics had even considered the idea of cinematic authorship, Le Quai des Brumes stands as an example of collaborative filmmaking of the highest order. With the near collapse of the French studio system (Gaumont, Pathé withdrawing from film production in the mid-30s) newly formed film companies in France seemed to last as long as the governments of the time (months or even weeks). Yet, despite this, an all-star production team was assembled. The sets were designed by Alexandre Trauner, whose stylised recreations of the world of working people in the industrial port town work to heighten and skew the reality. Panama’s ramshackle bar by the sea seems almost dreamlike. Screenwriter Jacques Prévert’s dialogue combines the melodramatic, the poetic and street slang. His characters - although almost types (the petty gangster, the drunk, evil stepfather) - all have their little idiosyncrasies. Eugen Schüfftan, who went on to shoot the phantasmagoric Les yeux sans visage (Eyes without a Face, 1960), provides the expressionist shadowy cinematography that was to influence film noir a few years later. And also deserving a special mention is Maurice Jaubert’s score and Coco Chanel’s iconic transparent plastic raincoat for Michèle Morgan. What is often forgotten when discussing poetic realism is how entertaining the films are, and none is more so than Le Quai des Brumes. 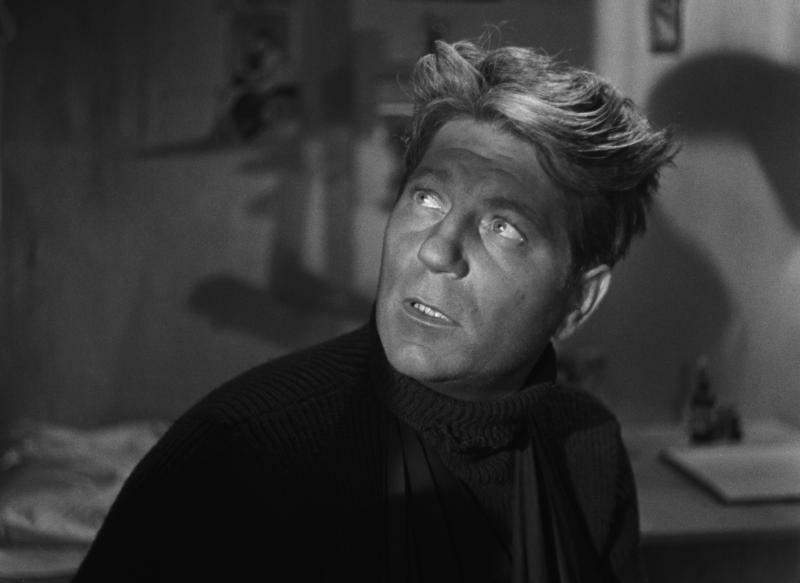 Many of these films were box-office smashes in France at the time and Jean Gabin was a major star. This film shows why: he dominates the film even though he is surrounded by such odd and colourful characters, and despite (or because of) his minimal acting, he has a unique screen presence. 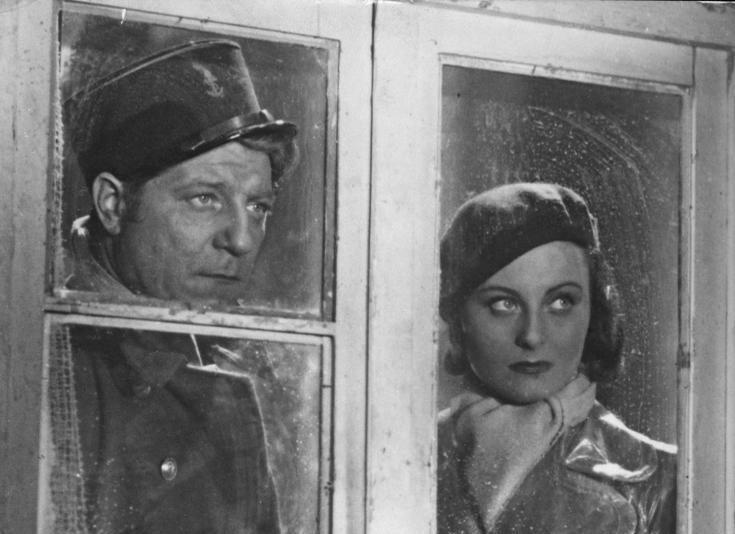 To mark the 75th anniversary of La Grande Illusion, Jean Renoir’s most successful film, Studiocanal and the Cinémathèque de Toulouse are releasing a new, digitally restored version. It is very moving to see a classic film so skilfully restored, the image as clear and blemish-free as if it were made yesterday, the soundtrack without the hint of a crackle. Jean Gabin and Erich von Stroheim are resurrected and, without any technical interference, the audience of 2012 is transported to World War I. They sense, with a shiver, the film’s original significance on the eve of a second world war. As Europe confronts financial crisis today, La Grande Illusion retains its power as an example of European camaraderie and co-operation. Set in Germany, the film follows a group of French prisoners of war. The central characters span the social spectrum: Lieutenant Maréchal (Gabin), a good-humoured, big-hearted man of modest means; Lieutenant Rosenthal, a rich Jewish banker who generously shares his care packages from Paris; and their captain, de Boeldieu, whose upper-class manners and habits keep his men at a distance, even though he considers them his equals. De Boeldieu feels more at home with a German of similar rank and background: Captain von Rauffenstein (von Stroheim), a captor who acts as a gracious host. All of the men regularly comment on the differences that separate them, but they equally demonstrate how friendship can overcome barriers of class, religion and nationality. Class is the greatest separating factor, specifically the divide between an increasingly outdated aristocracy and the plebs who are about to take over power in a fast-changing Europe. While Rosenthal’s wealth doesn’t prevent him and Maréchal from becoming firm friends, the stiff behaviour of de Boeldieu and von Rauffenstein isolates them. Yet these two repressed characters are at the centre of one of the film’s most moving scenes: the powerful emotions that de Boeldieu and von Rauffenstein must feel are made more poignant for being so carefully controlled and subtly expressed. All human relationships are precious here, as it is uncertain whether any of the men will make it to the end of the war. There was uncertainty in the very existence of La Grande Illusion. An anti-war film made just two years before World War II, it was banned in Germany, Italy and France, before the Nazis confiscated the negative. Luckily, the Reichfilmarchiv was located in a part of Berlin that later fell to the Red Army. La Grande Illusion was taken to Moscow, where it formed part of the founding collection of Gosfilmfond, Russia’s National Film Archives. It was 20 years before the film was finally returned to France. The film’s first restoration in the 1990s reinstated previously censored scenes featuring sympathetic Germans or references to venereal disease. The new print will be released in UK cinemas on April 6, and from April 23, La Grande Illusion will be available on DVD and Blu-ray.